Local Real Estate Comments and Ramblings: Will I save any money if purchase without a Buyer Agent? Will I save any money if purchase without a Buyer Agent? I get this question from buyers a lot. Many are under the misconception that if there is no buyers agent then the listing agent will reduce their commission. Wrong! *If there is no listing agent the buyers agent has more work to do. *The deals are harder to close. Once they get in to the situation they tend to not want to listen to any advice the agent gives since he is "just trying to sell them a house". *Greed! The seller has already agreed to pay x% commission whether or not the agent splits it. If there is no split then the agent makes the entire commission themselves. *Conflict of interest. Here in Ga most agents are not allowed by their broker to practice dual agency. That is actually representing both parties. The buyer will sign a document saying they understand the seller is the client and they,the buyer, are a customer. It seems like a small distinction but it makes a huge difference in the agents loyalties. *Many brokerages do not allow their agents to negotiate commission. Period. There is no discount to be had. I am the only agent that I know of that will list homes with a variable rate commission. I'm sure there may be others but I haven't met them yet. I have it built right in to the listing agreement that I will discount my commission if I sell the home directly. The amounts are spelled out in the agreement. If you are buying a home and want to save money ask about Atlas Realty Buyer Rebates! What is the best way to save money when buying or selling a home? Many Buyers think that Buying without an agent is one. It actually may cost them more by not having someone looking out for their best interest when making an offer and through the inspection process. A Buyer Agent most often gets paid from the listing agent, a fee as posted in the MLS. A common question is "The listing agent wont have to split it so why can't they can just discount the sale price". That is not how things work as the listing agent then has to manage the buyers side as their is no buyer agent to handle them. Click here for Manchester area Homes For Sale by clicking here. what is for sale by clicking here. The one note Buyers and Sellers need to know, is that the easy part is finding a home to buy. The hard part is taking that sale to closing. There are many parts of teh purchase process such as inspections, disclosures and the buyers mortgage process. Whether a Buyer, Seller or Investor you should seek the advice of a local, full time and well experienced agent who can guide you. Both Sellers and buyers have a choice to make when hiring an agent. With that choice they should choose to hire the BEST agent in your area, and know that bigger is not better. In most cases choosing a GREAT agent gets you GREAT results. Do not settle for assistants, It is important that your agent guides you through EVERY step of buying or Selling a home. I have put together a simple recipe for both Home buyers and those who need help to get your home sold. Follow this along with pricing your home right, and the result can be a SOLD SIGN in your front yard. 1. LEARN THIS ONE FACT: One should know that All Agents are not created equal and every buyer or seller should take the time to hire the BEST not just the biggest Agent or Company. It is important to Hire the BEST Agent. In NH that could be me. 2. CHOOSE THE RIGHT AGENT: As a Buyer OR Seller in this market you need every advantage you can to get your home sold. It starts with choosing the right agent. a. Ask for a Full time agent whose sole job is to sell homes. b. Ask for a Full service agent who will guide you through each step of the selling process. Discount brokers often equal discount services. c. Ask for a Local agent who knows your neighborhood and is readily available when you need them is a must. Out of town agents can leave you high and dry in your time of need. d. Ask for a well experienced Listing Agent can give you the advantages you need when selling your home. Not all agents are created equal. Choose only the best. 3. HOME BUYERS SHOULD START BY: Getting a FREE PRE-QUALIFICATION with a local and trusted lender. They will look at your credit and financial picture and let you know what type of mortgage you may qualify for and what your interest rate and monthly payment may be. 4. HOME SELLERS SHOULD START BY: Getting a FREE MARKET ANALYSIS. Learn what your property is worth in today's market along with how ling it may take to sell. If you are ready to sell now, learn what you should ask for it. How much offers may come in at and what the approximate selling price should be. NH Home owners should contact me now. IN SUMMARY the key to having a successful purchase or sale can increase simply choosing a better agent. The secret is that All Agents are not created equal and every buyer or seller should take the time to hire the BEST not just the biggest. I leave you with now infamous philosophy, which is simple, to provide more personal and professional service to guide my clients through each step of the buying or selling process. It does not take magic to turn your "For Sale" sign into a "Sold" sign. it takes a full time Local Agent who specializes in Listing homes like yours. If you are thinking of buying a Home please contact us. Get a free pre-qualification along with some of the BEST CUSTOMER SERVICE through each step of the Buying Prices. WE STRIVE TO PROVIDE THE BEST POSSIBLE SERVICE THROUGHOUT EACH STEP OF THE LISTING AND SELLING PROCESS!!! If you need to sell your home and you owe more than your house is worth, i may be able to help. I specialize in working with home owners to get your home sold. There are many options such as a short sale which may be able to help you.Please try and avoid out of state or out of town agents and companies that make "out of this world promises". 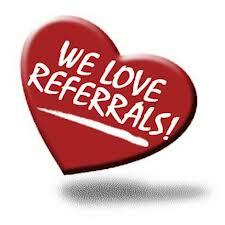 We are local agents with experience who never charge any up front fees. We are local agents with experience who GET RESULTS!!! We stand by you through every step in selling your home. Another reason that makes New Hampshire a great place to Live, Work and Play. About the Author: Scott Godzyk is the Owner/Broker of the Godzyk Real Estate Services in Manchester NH. 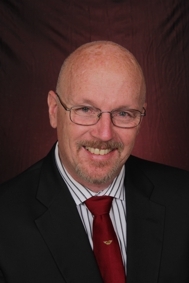 With 28 years of experience, Scott is a leading Agent for Listing and Selling Homes in this area. To CONTACT Scott Godzyk please call 603.661.2121 or EMAIL: Sctprop@aol.com . We are Full Time Agents ready to serve all of your Real Estate needs through each step of the buying and Selling process. 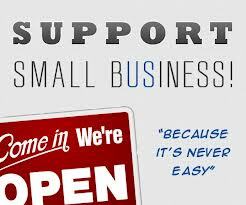 We are proud to be locally owned and operated. Buy a home, Sell a home, in Powder Springs, Marietta, Kennesaw, Acworth, Smyrna, Dallas, Hiram,and Cobb, Paulding, Douglas, North Fulton, South Cherokee, County, Ga. Call me for all of your real estate needs. Bob thank you for the re-blog, it is an honor. This was a a great topic to write about as it happens often. Post © 2019 Bob Southard, e-Pro - Cobb, Cherokee, North Fulton (Atlas Realty Service, LLC). Design © 2019 ActiveRain, Inc. All rights reserved, Inc.